Royal Classics premium nylon guitar strings are made in Valencia, Spain under the direction of renowned guitarist and educator Juan Grecos. Designed as an essential component of great guitar tone, Royal Classics are manufactured to the highest standard from the most modern, technologically advanced machinery. A marriage of tradition and innovation, Royal Classics are relied upon for superb tone, consistency and stay-fast tuning by top professionals around the world. Royal Classics Serranito set features high tension silverplated basses, RC Cristal 1st and 2nd strings and a RC UltraSon 3rd string. 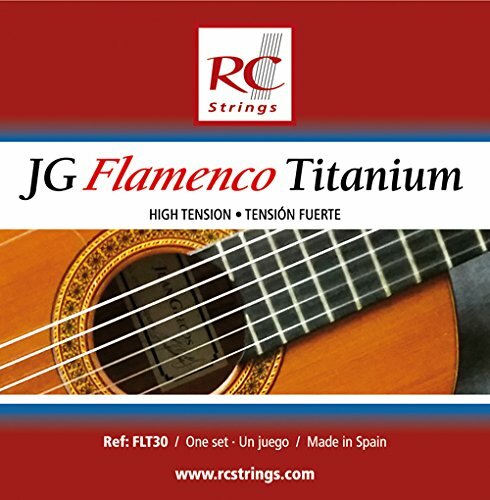 Developed for and used by flamenco guitar legend Victor "Serranito" Monge. Treble gauges: .73mm/.029", .83mm/.033", .90mm/.035" Bass gauges: .78mm/.031", .86mm/.034", 1.09mm/.043"
Treated with an ultra thin proprietary anti-oxidant coating. If you have any questions about this product by Royal Classics, contact us by completing and submitting the form below. If you are looking for a specif part number, please include it with your message.